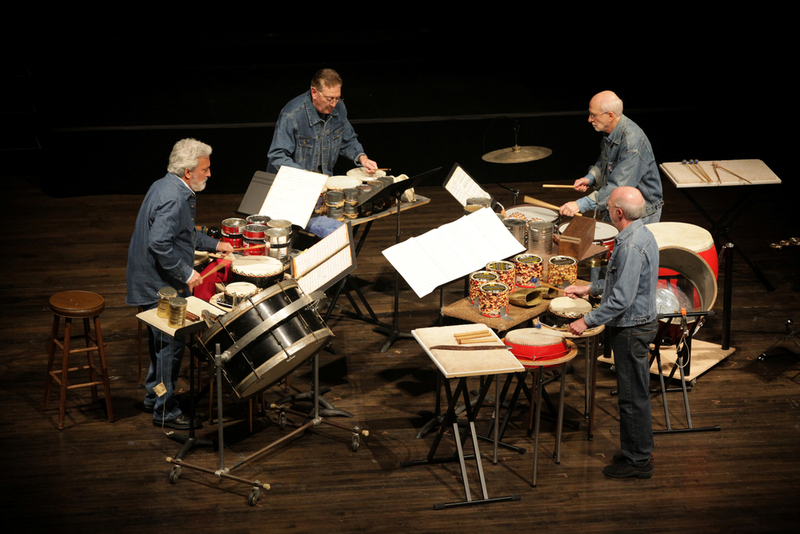 Formed in 1971, Nexus stands out in the contemporary music scene for the innovation and diversity of their programs, their impressive history of collaborations and commissions, and their influential improvisatory ideas. Recent NEXUS highlights include Rochester Philharmonic, San Antonio, Kansas City and Pacific Symphony performances, a tour of Japan, and back-to-back residencies at the Ojai Festival in California where the L.A.Times music critic commented, “Ojai felt, for that hour, like holy ground,” and that their concerts were “thrilling” and “certainly stand as one of the most memorable in any venue, anywhere." Celebrate Takemitsu’s genius with this signature piece. Since the premiere in Carnegie Hall with Seiji Ozawa and the Boston Symphony Orchestra, Nexus has given more than eighty performances of this magical work. From Los Angeles to Chicago, to Philadelphia, London, Hamburg, Lyon and Tokyo, audiences of all ages have been enraptured by Takemitsu's brilliant orchestration and Nexus' sensitive playing on their fantastic array of instruments. It is a feast for eyes and ears. As the first woman to receive the Pulitzer Prize for Music, Zwilich's music continues to be shared with a broad and appreciative audience. The March 2004 premiere of this work in Memphis, Tennessee was heralded by a standing ovation with rousing applause. At times mysterious, translucent, vivacious and disturbing, Rituals is not of the typical percussion concerto mold of hair-raising bombast, but is rather more introspective, though its last movement is fiery and exuberant. Conductor Michael Stern and Nexus recently recreated the excitement of this work in Kansas City.